You couldn’t escape it if you attended the 2015 edition of the annual meeting of the Radiological Society of North America. The word itself seemed to be everywhere—in the plenary sessions, in the lectures and even in the exhibit halls. In fact, it was even in the top headline of the Daily Bulletin from Sunday through Wednesday. RSNA President Ronald L. Arenson, MD, opened the 101st scientific sessions with a call to action—for radiology to embrace innovation. Dr. Arenson channeled the original Star Trek television show in his opening remarks, telling radiologists that change is upon us and that as a profession, radiologists must not only embrace change, but they must also be bold explorers. Jeffrey R. Immelt, CEO of GE, delivered the New Horizons Lecture, in which he encouraged innovation and called for expanding the word’s definition within healthcare. Immelt discussed innovation around three central themes: precision medicine, the merger of radiology and pathology, and mobility—both global and local. James H. Thrall, MD, who took the podium for the Annual Oration in Diagnostic Radiology, used the opportunity to put a spotlight on imaging innovation. Dr. Thrall said that imaging innovations are a key component of healthcare reform and, like Immelt, called out the importance of precision medicine. He discussed four trends shaping the future of radiology: the continued development of faster imaging techniques with increased image resolution and decreased dose; the emergence of novel medical imaging devices, such as portable MRI machines, that bring technology to the patient; the correlation of molecular and functional events enabled by hybrid imaging, such as PET/MR; and the introduction of new imaging methods, such as phase-contrast X-ray. While official attendance figures had not yet been released by RSNA at presstime (total advance registration was 47,060, of which 23,856 are radiology professionals), many exhibiting companies agreed that attendance, or at least the number of radiology professionals in the exhibit halls, was down from last year. Certainly, while the excitement of the Centennial celebration likely spiked attendance at the 2014 RSNA, some wondered whether the new “virtual meeting” could have factored into the perceived lower attendance. In the two exhibits halls, interesting and innovative technologies and devices were on display. The “cloud” once again served as a central theme; and analytics and 3D printing were also discussed in abundance, although perhaps more so in the scientific sessions than on the exhibit floor. Lung screening and dense breasts continued to receive a good deal of attention, with multiple new products and solutions designed to address both. Following is our recap of some of the most interesting technologies and new product introductions at RSNA 2015. While CR is not dead, it was in hiding at RSNA 2015. Although many manufacturers still provide CR solutions, the adoption of this modality in nontraditional settings, such as physician practices, orthopedic offices and veterinary clinics—not the typical target audience for RSNA—seems to suggest continuation of the trend. Plus, with the cost of DR technology decreasing over the last few years along with the ability of DR to provide more dose efficiency (ie, the ability to lower patient exposure to radiation dose) than CR, it comes as little surprise that CR was largely absent from RSNA ’15. Both mobile/wireless and full-room DR solutions were key highlights in numerous vendors’ booths. Siemens Healthcare made a big splash with the multi-modality Multitom Rax (Robotic Advanced X-ray), reportedly the world’s first twin robotic X-ray system that allows acquisition of 3D natural weight-bearing images, enabled by 3D-capable post-processing software. The universal diagnostic imaging solution can be used for conventional 2D radiography, fluoroscopy and angiography all in one room across a variety of examinations, including orthopedic, cross-table lateral spine, peripheral, barium, and 3D bone scans. 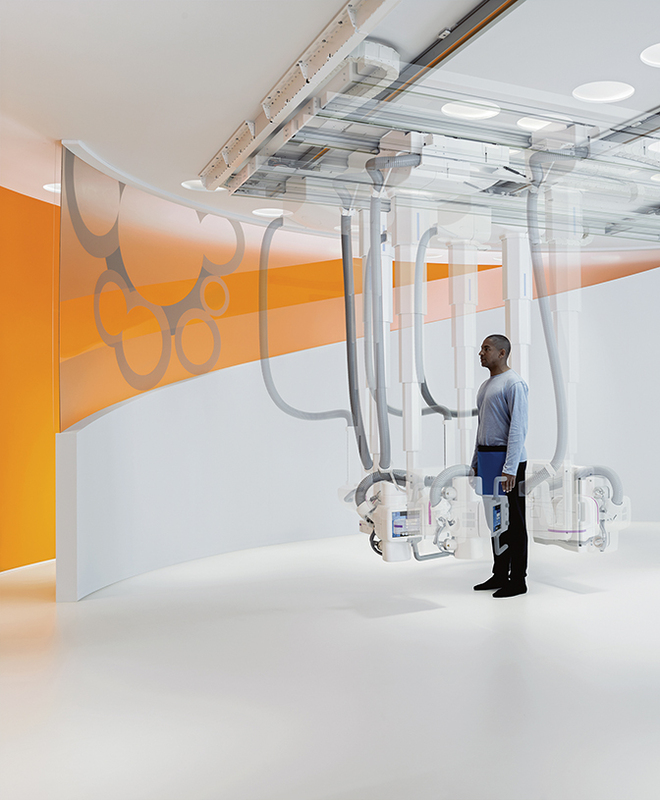 Featuring an open design, a height-adjustable table and two independent, ceiling-mounted robotic arms for the X-ray tube head and the flat-panel detector, the Multitom Rax Twin Robotic X-ray system provides the ability for nearly unlimited positioning anywhere in the room. The robotic system can achieve up to 1,000 positions, yet it consistently aligns the tube and detector perpendicular. FUJIFILM Medical Systems U.S.A., Inc., unveiled the first long-length digital radiography (DR) detector—the new FDR D-EVO GL DR detector for single exposure long-length digital imaging. With a 17 × 49 inch field of view, Rob Fabrizio, director of marketing and product development, Digital x-ray and Women’s Health, FUJIFILM Medical Systems U.S.A., Inc., says “the detector enables technologists to efficiently acquire challenging long-length exams using low dose DR technology” and can provide 40-50% dose reduction compared to CR. Due to the single exposure, full length images can be captured in as little two seconds while decreasing the chance of patient movement that can occur between exposures. Konica Minolta Medical Imaging introduced a new member of the company’s AeroDR family of DR panels. The AeroDR LT is based on similar design features of the AeroDR XE, such as the highly durable, IPX6-rated, liquid resistant enclosure, yet is lighter and at a lower price point. 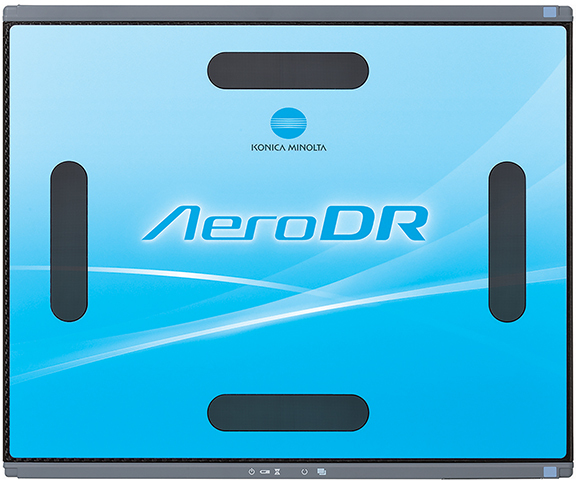 The AeroDR LT weighs 5.5 pounds (2.5 kg) and has the ability to hold patients up to 661 pounds (300 kg) on a bed. Images are available for preview within one second of use and fully processed images in as little as six seconds. The lithium ion capacitor lets users receive up to 4.1 hours of imaging use or 150 images with only a 13-minute charge time. At Viztek, A Konica Minolta Company, a second generation Overhead Tube Crane (OTC) that combines the benefits of Viztek’s existing chest and table systems into one unit, was launched. The new OTC features an automatic stitching feature at the table and upright, unlimited APR and pre-sets via limitless remote control capabilities, an enclosure around the detector for protection, improved weight capacity up to 660 lbs. and fewer clicks for navigation coupled with additional efficiency gains from the upgraded stitching functions. It can also be paired with the company’s pediatric imaging software to support dose efficiency initiatives. Agfa Healthcare highlighted its mobile DR solutions with FreeView technology that allows the telescopic arm to be collapsed when it is being moved and then quickly moved back up at the patient’s bedside. Other new features of the mobile solution include new detectors, available in Cesium Iodide (CsI) or Gadolinium Oxy-Sulphide (GOS) technology and a new detector battery charger allows both sizes of detector batteries to be charged at the same time, even while the unit is being used. The company also introduced the DR 600 multi-detector DR solution, currently pending FDA clearance. ZeroForce Technology enables manual movement of the tube head in all directions quickly and with almost zero effort while the MUSICA workflow provides immediate previews that reduce time between exposures. The fully motorized wall bucky has vertical tracking with the tube, offering the option of DR Full Leg Full Spine (FLFS) with EasyStitch technology. 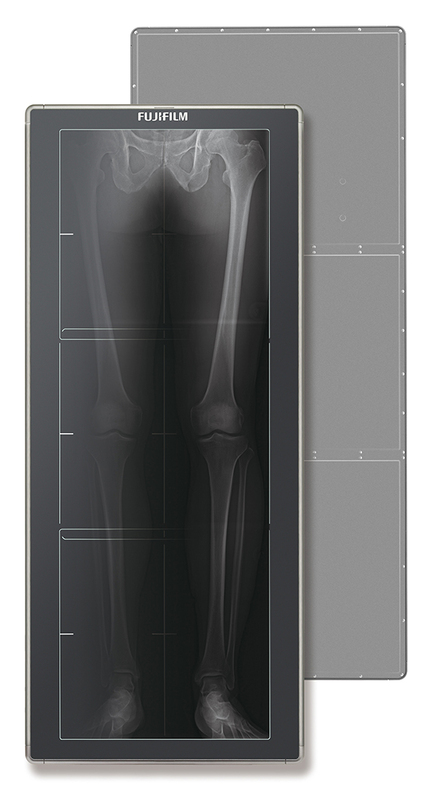 Canon USA and Virtual Imaging, Inc., announced the RadPRO Mobile 40kW Flex Digital X-ray System, an x-ray system that incorporates a new telescopic tube column along with new functionality for ease of maneuvering and positioning. Compatible with the Canon CXDI- 70C, 80C, 701C, 801C and 401C wireless digital flat panel detectors, the system captures high-quality diagnostic images for routine diagnosis or challenging trauma, with flexibility in patient positioning and the ability to manage or manipulate images at bedside. Samsung showcased its newest DR system, the GC85A, to RSNA attendees after receiving FDA clearance in August 2015. The GC85A features imaging engine S-Vue, ensuring consistency with high quality, convenient setting of contrast and improved sharpness and clarity, S-Share to support unique clinical needs and continuous care with increased connectivity, and Smart Control for one-touch precise positioning. The growth of interventional radiology is expected to continue as hospitals continue to face pressure to reducing length of stay and lowering costs. With advancements in technology, it is possible that many minimally invasive procedures can provide similar patient outcomes as invasive surgery while also enabling quicker recovery times and shorter hospital stays—and even as an outpatient procedure. Two areas that will likely continue to grow are interventional oncology and interventional pain management. 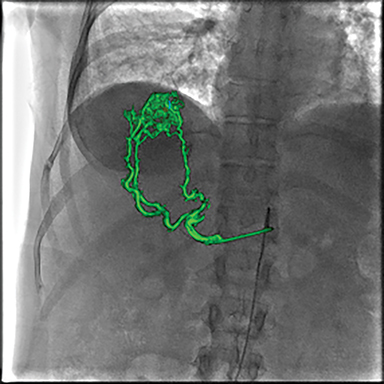 To help address the need to plan, guide and assess more complex minimally invasive procedures, GE Healthcare has launched its ASSIST brand of new interventional imaging software packages designed for specific clinical subspecialists and complex endovascular procedures. With ASSIST, clinicians can easily segment anatomy, extract 3D anatomy in two clicks, and measure the vasculature (length and diameter) while adding landmarks. 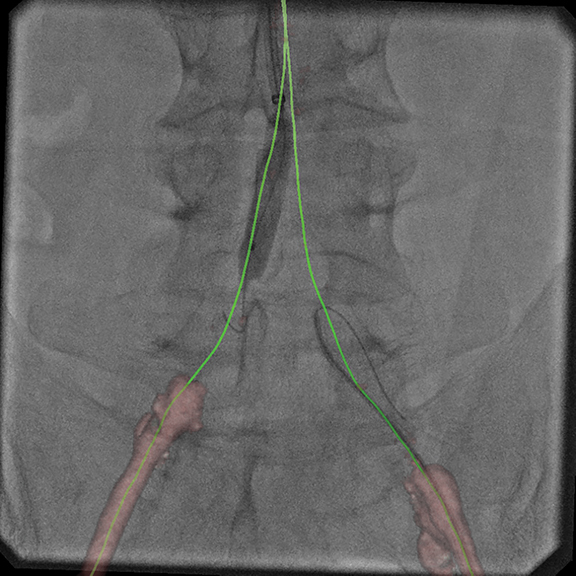 For guiding, clinicians can view 2D 3D image multi-modality (MR/CT) fusion with BiView registration, which the company says also helps achieve up to 99% dose savings, and accurately define access routes and place devices with confidence in seconds. FlightPlan for Liver has also been added to ASSIST, with clinical studies demonstrating up to 97% improved sensitivity in identifying tumor feeding vessels, an 11% reduction in procedure time, and greater agreement by radiologist readers (82%) on identification of liver tumor feeding vessels. Hybrid imaging in the interventional suite got another new twist with Toshiba America Medical Systems’ Infinix4DCT, which now brings together Infinix Elite angiography system and the Aquilion PRIME CT system configuration. 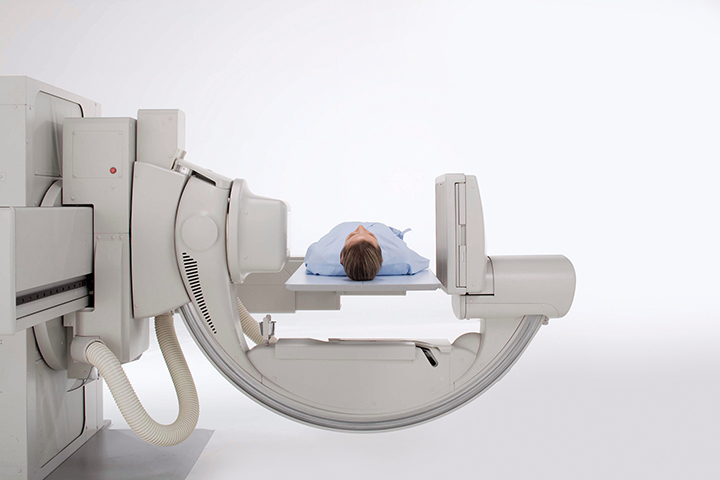 At RSNA 2014, Toshiba launched the system with the Aquilion ONE VISION Edition. Versatile, compact and lightweight appeared to be consistent themes across the new C-arms shown at RSNA. It was also refreshing to see the discussion regarding lowering dose has moved from CT to other systems that deliver ionizing radiation. Siemens Healthcare launched three new models of its Cios family of C-arms, the Cios Fusion, Cios Connect and Cios Select, all pending 510(k) clearance. The Cios Fusion C-arm provides two detector sizes—30 × 30 cm and 20 × 20 cm—and a touchscreen that can be positioned at the operating table to control the C-arm from within the sterile work area. Cios Connect is a lightweight C-arm that weighs 547 lbs. and provides a broad area of applications to the medium market segment. The entry-level Cios Select C-arm offers color coding that facilitates communication between surgeon and staff and uses the image processing algorithm IDEAL (Intelligent Dose Efficiency Algorithm) to provide continuous contrast and brightness adjustments as well as automatic dose-performance adjustment. Cios Fusion also delivers dose reduction tools, such as the ability to hold program/memorize the collimation (in 2 positions) and the ability to collimate off the last image, reducing the need to re-radiate. Toshiba America Medical Systems also introduced the industry’s smallest tilting C-arm multipurpose system available, according to the company. The Ultimax™-i FPD multipurpose system has a small footprint that installs adjacent to back walls to improve patient access and allow for more complex procedures by providing routine angiography lab capabilities within an existing R&F space. It can accommodate up to 500 lbs. with a wide, high-capacity table and delivers full-spectrum detection on a flat-panel detector with corner-to-corner, 43 cm x 43 cm coverage for high-resolution imaging. This large, flat-panel detector also helps reduce dose by limiting areas of anatomy receiving unnecessarily repeated radiation exposure. Ziehm Imaging previewed the Ziehm Solo FD featuring flat panel CMOS technology on a full-size mobile C-arm. This single unit is comprised of a compact and versatile C-arm, full-size monitor and intuitive touchscreen user interface. All functions required for an optimal image acquisition, processing and archiving are also integrated in the system. Whether it was low-dose imaging or lung screening solutions, a plethora of news surrounding CT unfolded at RSNA 2015. One study presented at the meeting found that women with a certain type of lung nodule visible on lung cancer screening CT exams face a higher risk of lung cancer than men with similar nodules. Women with ground-glass nodules had a significantly higher relative risk of lung cancer than men with the same type of nodules, and a similar trend was observed for part-solid nodules. In contrast, the relative risk of lung cancer for solid nodules was comparable for both sexes. 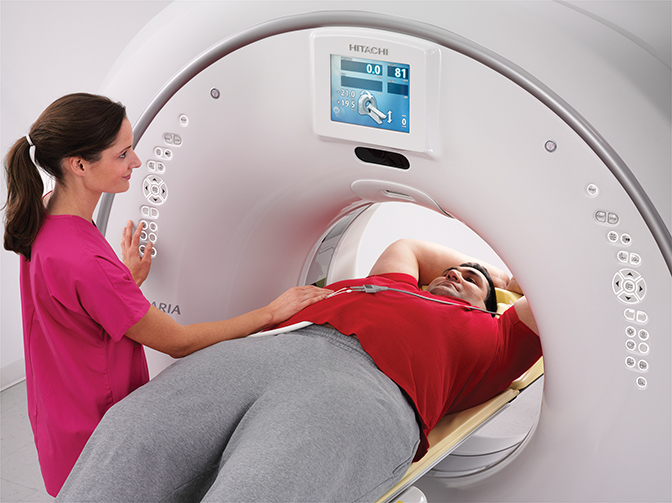 Hitachi Medical Systems America, Inc., broadened its CT product lines with introduction of the Supria 16-slice CT system and the new Scenaria SE 64 and SE 128 models. All three systems are Smart-Dose (XR-29) compliant with lower dose patient safety capabilities. As part of the Scenaria Platform, the new Scenaria SE 64 and SE 128 models enhance workflow through a 40% increase in standard reconstruction speeds—up to 50 images per second—and MPR reconstruction speed with automation of frequent user operator functions. Dose reduction is further achieved by the 16 cm lateral table movement, bow-tie filter, Automatic Exposure Control (Intelli EC) and new Interactive Processing (Intelli IP advanced). The compact Supria 16, which can be sited in a room as small as 200 sq. ft., accommodates a variety of patients, including bariatric, with an open access, 75 cm bore and a standard 1.8 meter scannable range table that provides a 500 lb. weight capacity. Toshiba America Medical Systems launched a new model-based iterative reconstruction for the Aquilion ONE Family of CT systems at RSNA 2015. Pending US FDA 510(k) clearance, Forward-projected model-based Iterative Reconstruction SoluTion (FIRST) can reconstruct volume images in three minutes and helical images with up to 35 cm in coverage in 6 minutes, according to the company. 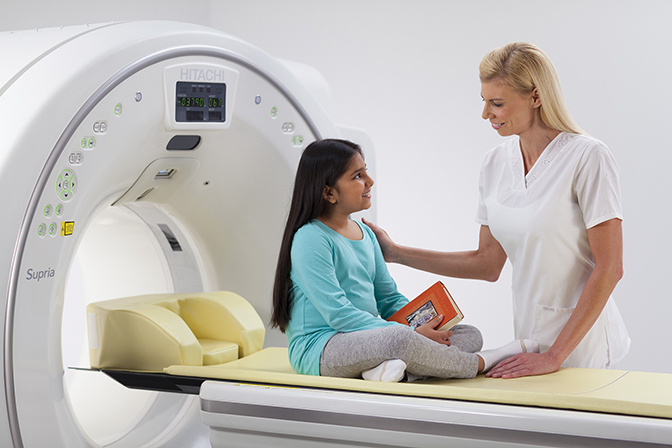 Toshiba also announced the new Aquilion Lightning 16-slice CT system, designed with a small footprint to help providers save on cost and space. The 78 cm bore system is optimized for general CT imaging and features technology found on Toshiba’s premium CT solutions, including AIDR 3D Enhanced to help reduce dose, Single Energy Metal Artifact Reduction (SEMAR) and SURESubtraction to help simplify complex scans. Since acquiring NeuroLogica in January 2013, Samsung hasn’t made much additional noise in CT … until RSNA ’15. Representing the company’s first foray into the premium CT market, the US FDA 510(k)-pending NExCT7 features a 128-slice configuration, 78-cm bore and a rotation speed of 2.5 seconds. The small footprint CT system has a table that can accommodate up to 660 lbs. (300 kg.) and also includes an ECG plug-in. Additional features include S-Recon for motion correction and the ability to acquire 30 ms temporal resolution. Patients with high heart rates can also be imaged, reportedly up to 125 bpm. On the second day of the meeting, Siemens Healthcare announced that the FDA cleared the company’s SOMATOM CT scanners for low-dose lung screening. 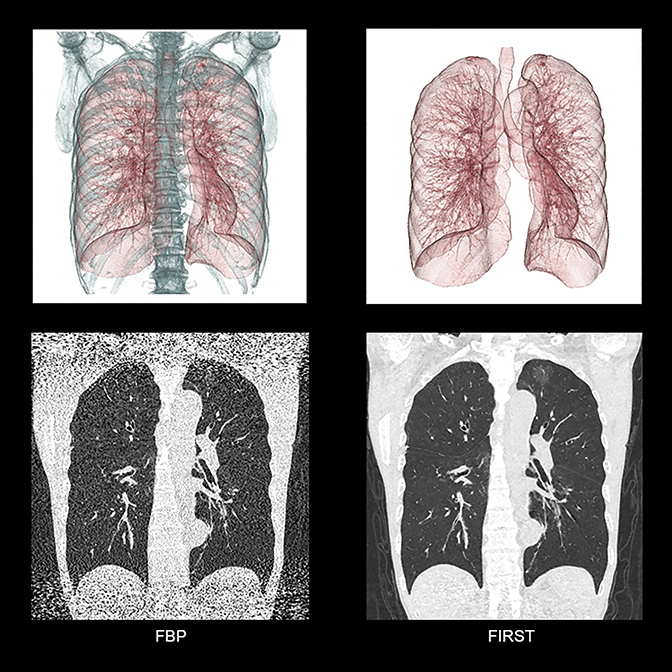 With FAST (Fully Assisting Scanner Technologies), technologists can set an optimum range for scan settings that avoids cut-offs or excessive radiation, optimize workflow and increase reproducibility — all important factors when regularly screening lung cancer patients. 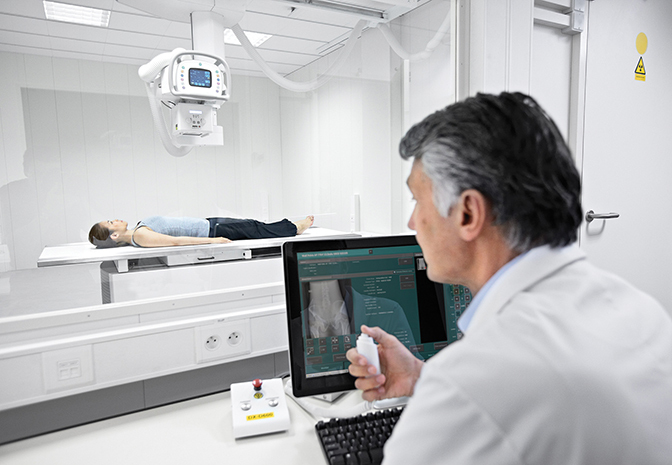 Siemens also launched a mobile imaging solution for lung cancer screening. The Mobile SOMATOM Scope CT is a self-powered mobile CT with on-board diesel generator that is ready to scan within minutes of parking. It is also equipped with a high-speed wireless connection for image transfer. GE Healthcare and the University of Wisconsin School of Medicine and Public Health (UW) developed validated protocols for GE CT systems, including the Optima CT 660, Discovery CT750 HD, Revolution HD and Revolution GSI. The protocols are dose-optimized and weight-adjusted for multiple clinical applications, including body imaging, pediatric imaging and cardiovascular imaging. According to the company and university, the UW Protocols can potentially help hospitals save up to $867,000 a year. In addition to the new UW Protocols, GE also showcased it new low-dose screening reference protocols after receiving FDA clearance last August. These new protocols are tailored to the CT system, patient size, and the most current recommendations from a wide range of professional medical and governmental organizations. Massat MB. Technology Trends: RSNA 2015 Review. Appl Radiol. 2016;45(1):40-47.